Home › Snapchat Today › Is Snapchat Down? Why Aren’t My Views Updating? Is Snapchat Down? Why Aren’t My Views Updating? I would imagine Snapchat is on top of this right now. That said, they still have not updated the app so people with the iPhone 4s can zoom after the newest update. Are you finding that Snapchat is down? 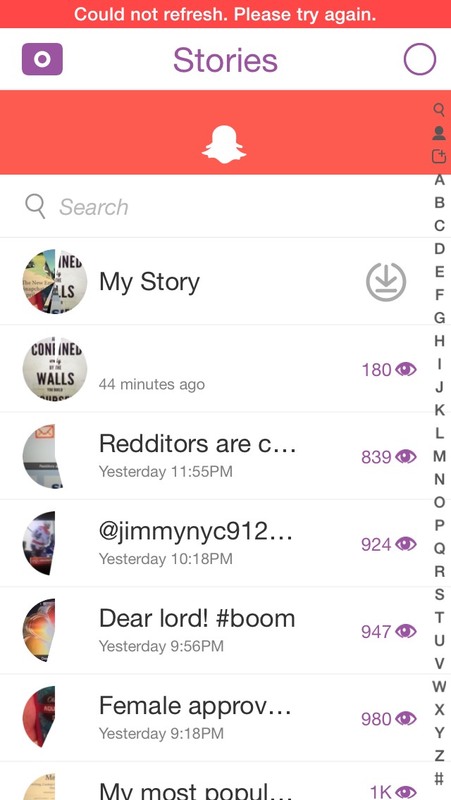 Have the views on your stories updated? Can you upload stories or send snap pictures to your friends? I will continue to update this article every time Snapchat is having issues. Please comment below with the date and time when you are having issues with your Snapchat app. Also state what smartphone you are using. My views won’t refresh either,, it stays at 1 or none at all.